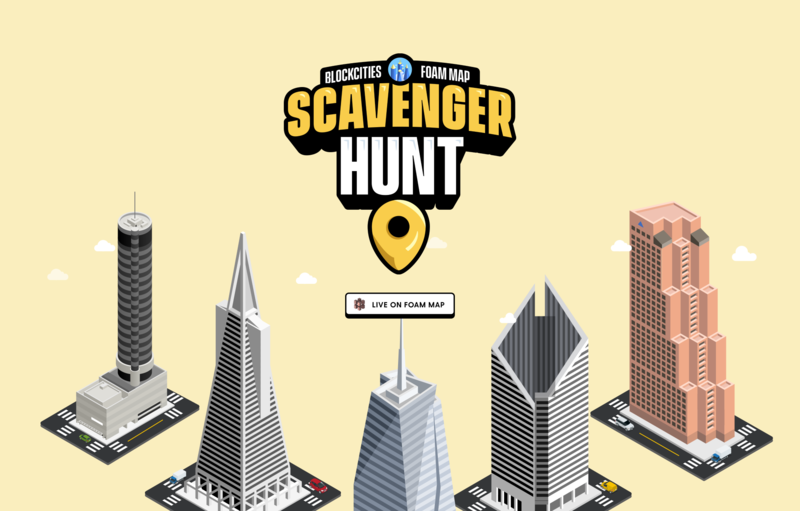 In December of 2018, we collaborated with FOAM on the very first Scavenger Hunt featuring ten buildings from across the world. The BlockCities x FOAM Scavenger Hunt is an interactive, virtual scavenger hunt that takes place on the FOAM point of interest map. 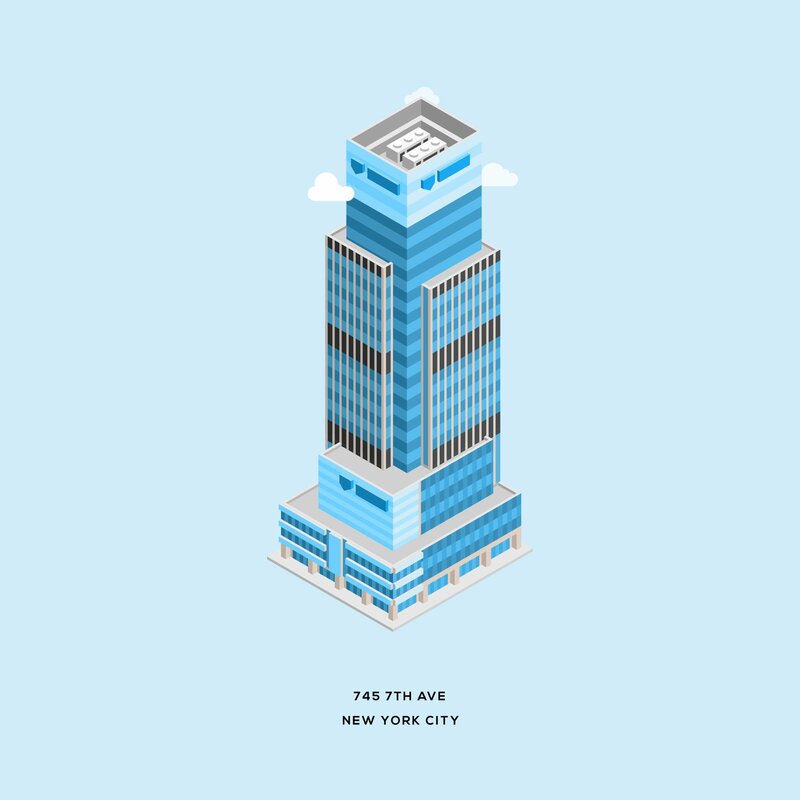 The BlockCities team has chosen one building from around the world and designed a limited edition CryptoCollectible in its fashion. The first person to identify the mystery building and place a corresponding point of interest on the FOAM map wins the collectible! During the scavenger hunt, BlockCities will unveil architecture clues about the building that will provide hints to its history, location, and purpose. The hints will progress from vague and difficult to commonly known information about the building. We are very excited for this game to launch this Thursday. Unlike the Holiday Treasure hunt, this game will be fully automated from tweeting clues, watching for the correct point and issuing the NFT from an automated smart contract. Rules and more information about participating will be posted shortly. Happy Mapping! The Point of Interest must be placed on the FOAM POI map. The POI must be labeled according to the official name listed on Google Maps. The POI must be placed within 10 meters of the true building coordinates found on Google Maps. 100 FOAM token must be staked to the POI to qualify. Clues will be released every 60 minutes until the correct POI is placed. 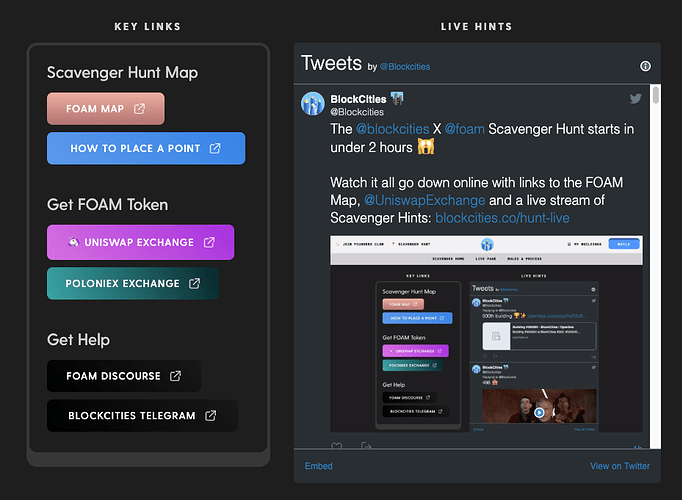 The address associated with the correct POI will be sent the exclusive BlockCities collectible. Remember to have fun! We know there may be disputes due to ambiguity and we will do our best to reduce the frequency of these. Please share your feedback with us to help make this game fun and fair for everyone. Whether you’re a total beginner or a seasoned cartographer, this guide will help you get started. Updated post with Control Board created by Blockcities. Great job @prestonattebery & @codyborn.